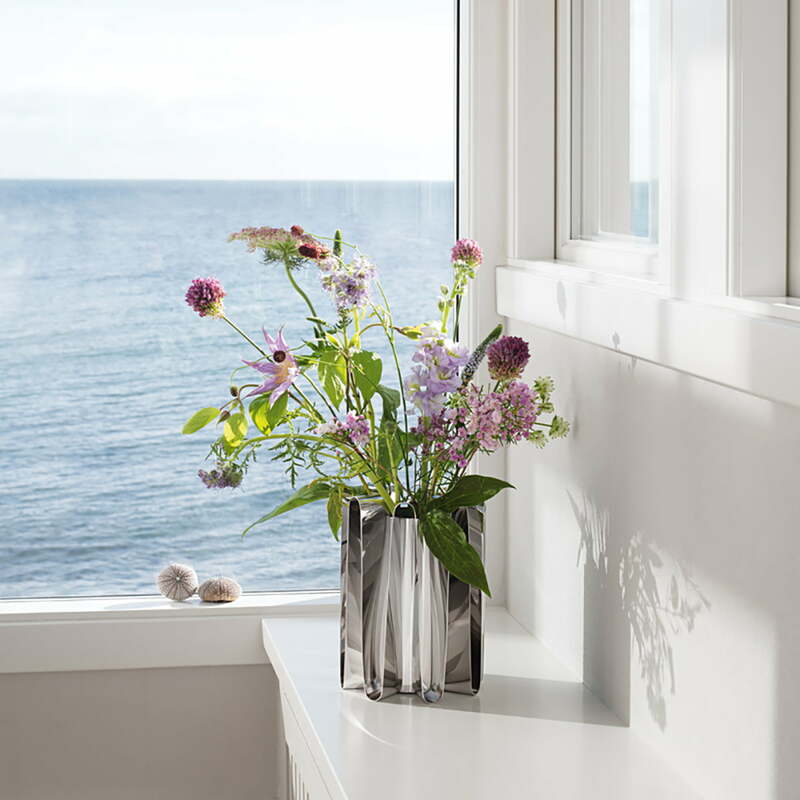 The Frequency Vase by Georg Jensen is a powerful living accessory that stylishly presents individual flowers and lush bouquets. The vase was designed by the American designer Kelly Wearstler, whose work was inspired by the rough Californian sea. The vase is made of polished stainless steel and reflects the light very similar to water. The wave shape of the stainless steel creates a certain dynamism and a real eye-catcher. The vase can be perfectly combined with other accessories from the Frequency collection, which fully embodies Georg Jensen's enthusiasm for organic shapes. Frequency vase in stainless steel polished by Georg Jensen in single view. The stainless steel vase was designed in wave form by the American designer Kelly Wearstler. 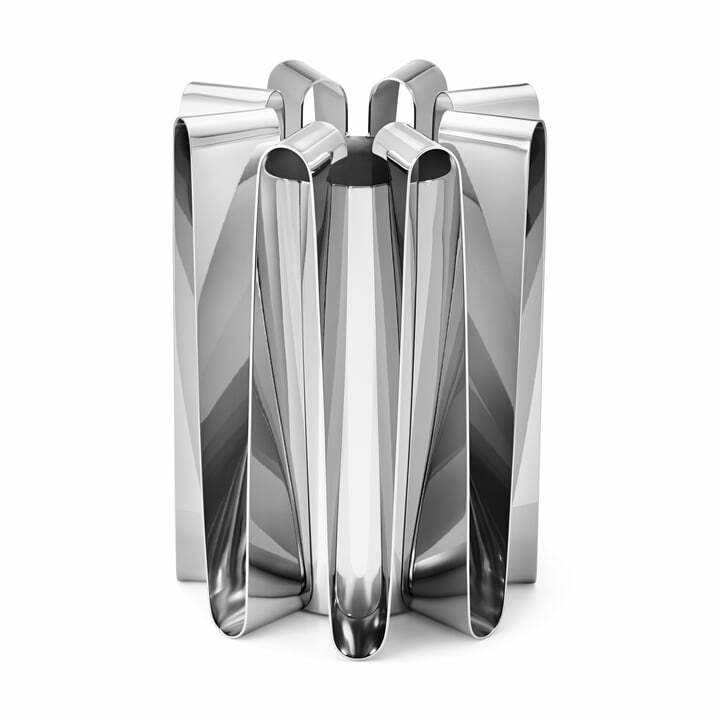 Frequency Vase, stainless steel polished by Georg Jensen in the ambience view. The Frequency Vase by Georg Jensen is a powerful living accessory that stylishly presents individual flowers and lush bouquets.